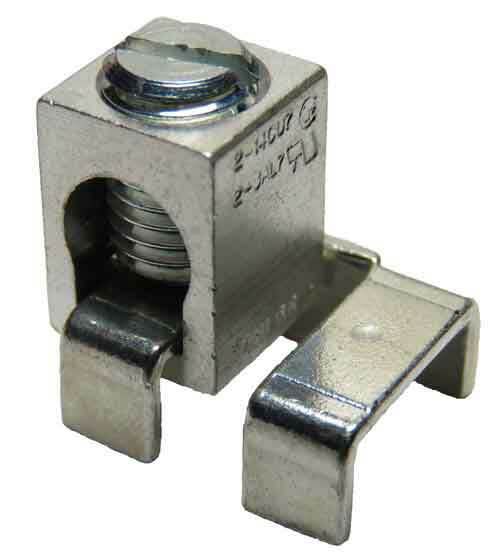 .25 x .05 or 50 Amps bus 5/32"
"B2A-HEX" 2 AWG OEM box collar lug, 2-14 AWG wire range, tin plated aluminum with HEX socket screw, aluminum or copper wire, CU7AL, 75C temperature rating, single wire terminal, UL Recognized at 600v - acceptable for use through 2000v, CSA Certified. The most compact #2 AWG wire connector available. International Hydraulics Inc. brand. 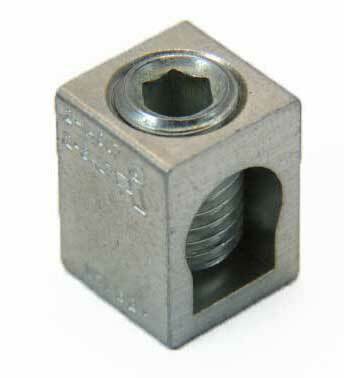 "B2A - HEX "OEM , 2-14 rango de cable AWG , estaño chapado en aluminio con tornillo hexagonal , aluminio o cobre alambre, CU7AL , 75C grado de la temperatura , la terminal de un solo cable , con reconocimiento UL , certificado por CSA . El conector de cable más compacto # 2 AWG disponible. 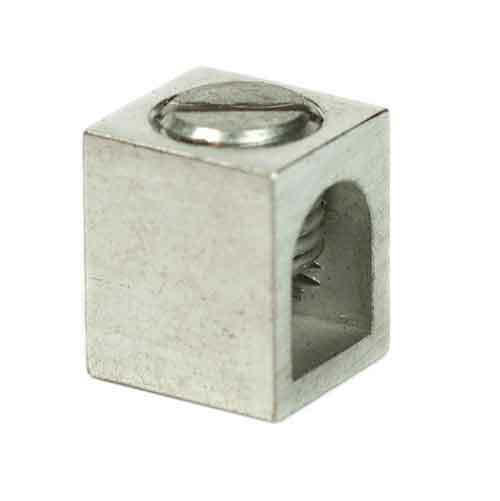 B2B 2-14 AWG, CU9AL, Heavy Duty #2 AWG wire connector. B2C 2-14 AWG, Larger body style than B2A with more room in wire hole.